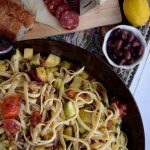 This simple pasta dish is a cinch to make during the week and even more perfect for Sunday suppers. Enjoy! I’m not alone when I say that certain meals bring back memories. 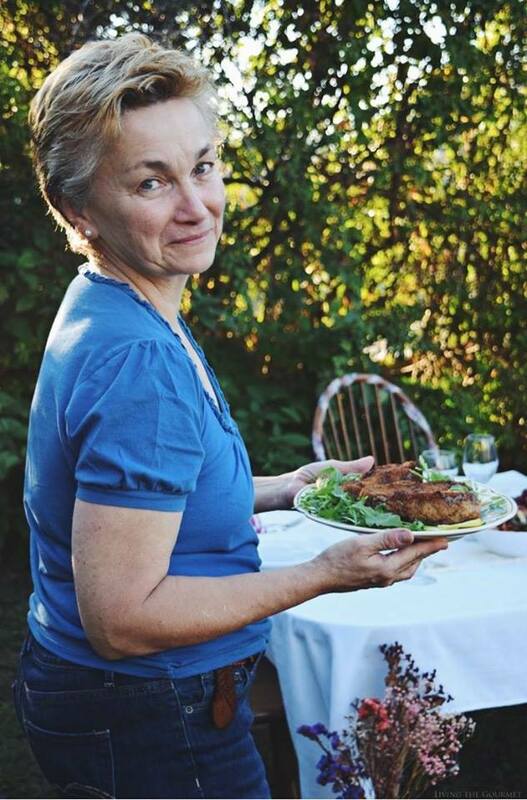 I believe a home-cooked meal is the strongest link we have to our memories, which is why cooking is so important to me. Home is in the heart. It’s built by memories and bounded by love to endure the test of time. I carry that with me each day. The values and traditions my parents instilled in me are passed down to my children, so they know that home is not a place or location – home is wherever you are with those you love. 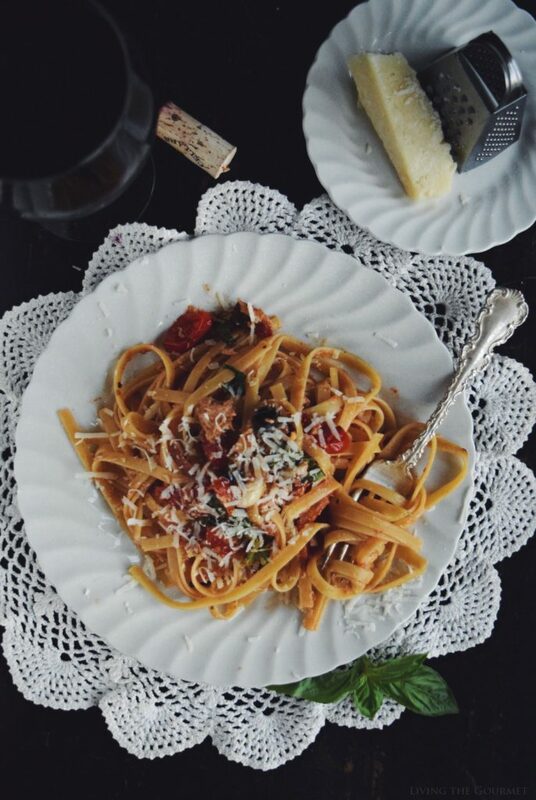 Meals like this simple fettuccini dish bring me back home. It’s something my parents would have enjoyed sharing over a glass of wine in our small kitchen when I young. As I prepared this meal for my family, I thought of them. I started with an easy homemade tomato sauce flavored with fresh basil, anchovies, tuna, sweet raisins and a splash of red wine. It’s a wonderful variance of ingredients that bring this dish to life with a briny burst of flavor! Simply toss with your favorite pasta and finish off with a grating of cheese. Heat a large cast iron frying pan with 3 tbs. olive oil. Add the garlic, onions and tomatoes and gently simmer until the garlic is fragrant and the tomatoes soften. Add the anchovies, raisins, basil, red wine and seasonings and continue to gently simmer on a low heat. 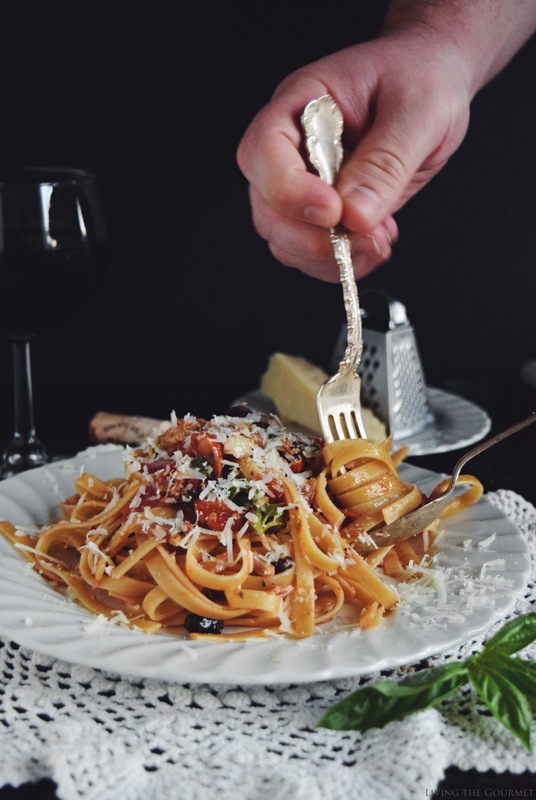 Prepare the fettuccine as directed. 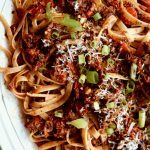 Toss the fettuccine with the tomato sauce. Plate with a drizzle olive oil, grated cheese and red pepper flakes. That sounds and looks so comforting and satisfying! Such an elegant and tasty looking dish. What a beautiful, delicious-looking dish! I can't wait to give it a try! 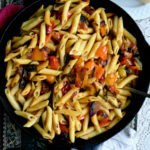 Oh that is the most perfect serving of pasta - so chocked full of flavour! Definitely pinning this one! I can;t wait to savour it myself! Putting this on my must-make list! It looks delicious! This looks delicious! 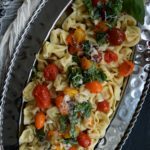 I am always on the look out for new recipes, and this is a new one for me to try. Thanks! To me there's nothing better than a nice bowl of pasta. 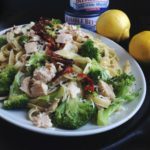 Your recipe for tuna fettuccine looks incredible! Food memories are so great! 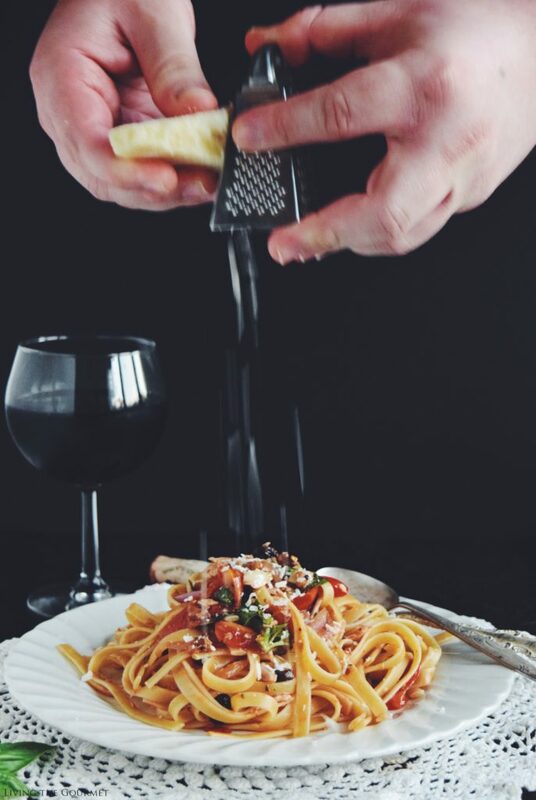 This pasta dish looks quite yummy, and that tiny cheese grater in the photos is adorable. 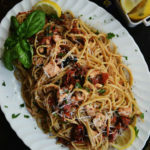 I don't know if I can do the anchovies bit, but other than that, this dish looks delicious! 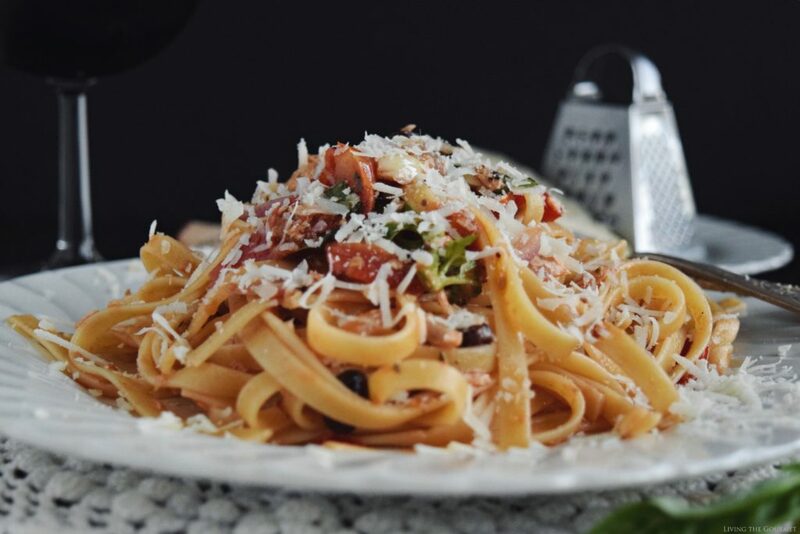 There's nothing like a big plate of delicious pasta, this looks amazing! This dish looks amazing, I would love to sit down to a meal like this. My kind of food. Raisins in tomato sauce? 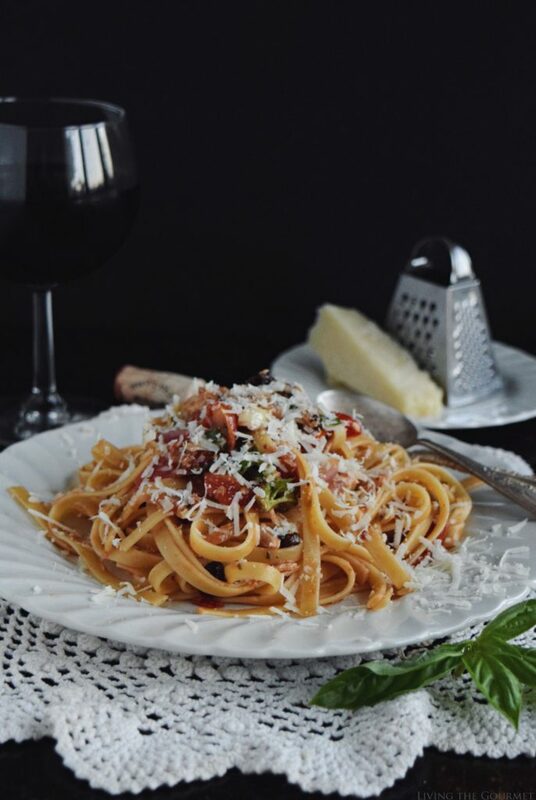 My best friend’s Mother shared that trick with me years ago, it adds a nice sweetness without adding sugar to your sauce, this recipe looks scrumpious. I agree home is where the heart is, it isn’t a location it’s a memory, something we can carry around with us, not a location. Looks lovely! I'd love to sit down to a plate of this for dinner tonight. I've never had tomato and tuna together, I don't think. It's worth trying!